Located in the heart of Bangkok's commercial district, Eastin Hotel Makkasan provides deluxe accommodation and 4-star facilities like a rooftop lounge. It offers free in-room internet and 2 dining options. Guests enjoy free shuttle service to Soi Nana, Chidlom, Central World Department Store and Pratunam. All guest rooms and suites have elegant, modern interiors, featuring a flat-screen cable TV, home entertainment technology and a well-stocked minibar. The bathrooms are spacious, fitted with large mirrors and hairdryers. 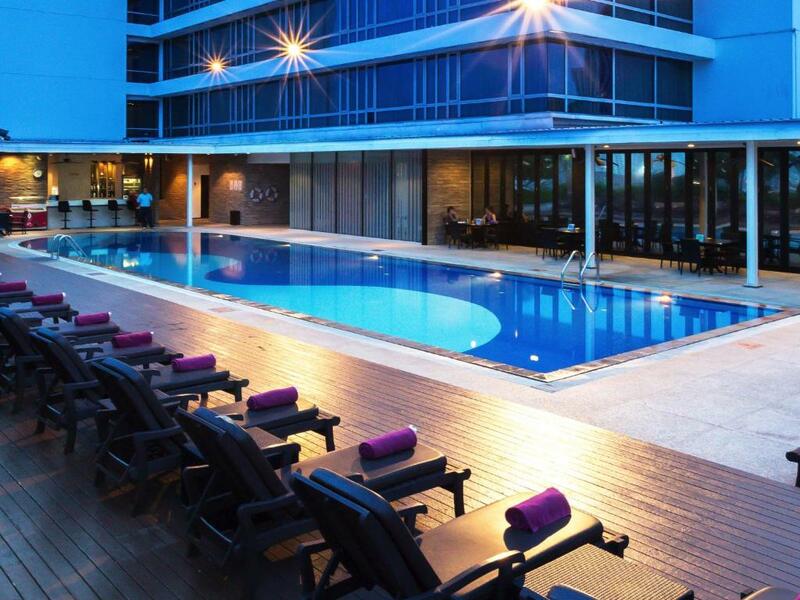 After exploring the city, head back to Eastin Hotel for a refreshing dip in the outdoor lap pool, which also offers views of the city. Guests can also enjoy soothing massages and body treatments at the spa or work out at the fitness centre. The Glass House offers a seafood buffet spread and an international menu, while Garlic & Pepper serves delicious Asian favourites in an elegant setting. Both restaurants overlook the pool and Bangkok's skyline. BTS Chidlom Train Station and Central World Plaza are situated within 0.9 miles of the hotel. The wholesale Pratunam Market is just 550 yards away.